Scooting around Paris on a scooter is easy. Doing it while patting a purring feline and wearing a gown large enough to merit its own arrondissement? Not so much. Not in the real world, that is. But Chez Shell, practicality is a dirty word ~ or mildly grimy around the hemline at least ~ and we can't have that, can we. 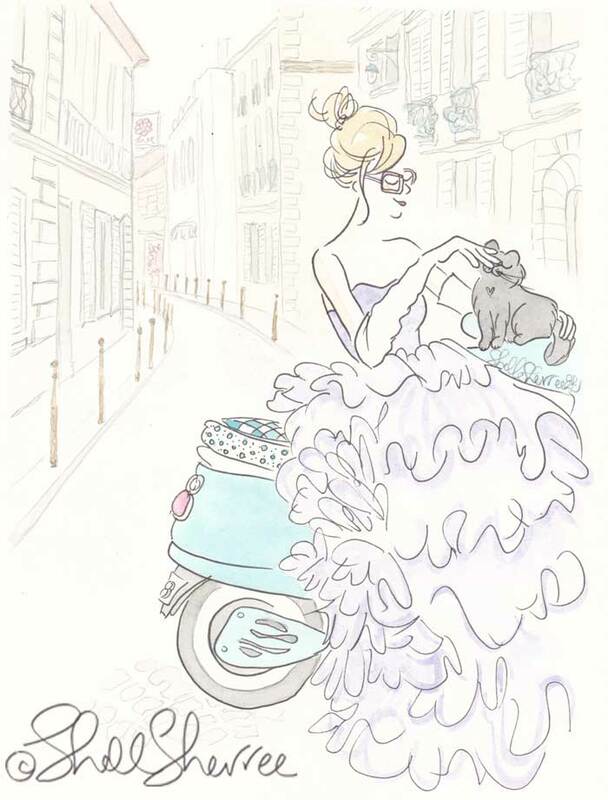 Happy Fluffy Fashionable Francophile Friday to you! The glasses are an especially fine touch!